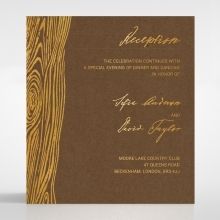 This is the perfect choice for your woodland or country wedding celebration. 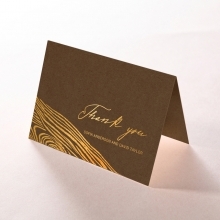 The top of this card has been hot foil stamped with glossy gold in a wood grain pattern. 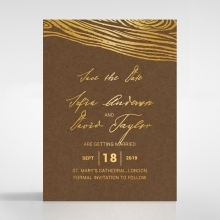 Centered below this trademark print are your wedding details. 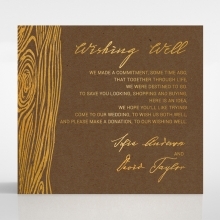 The card is made of heavy-weight smooth craft paper. 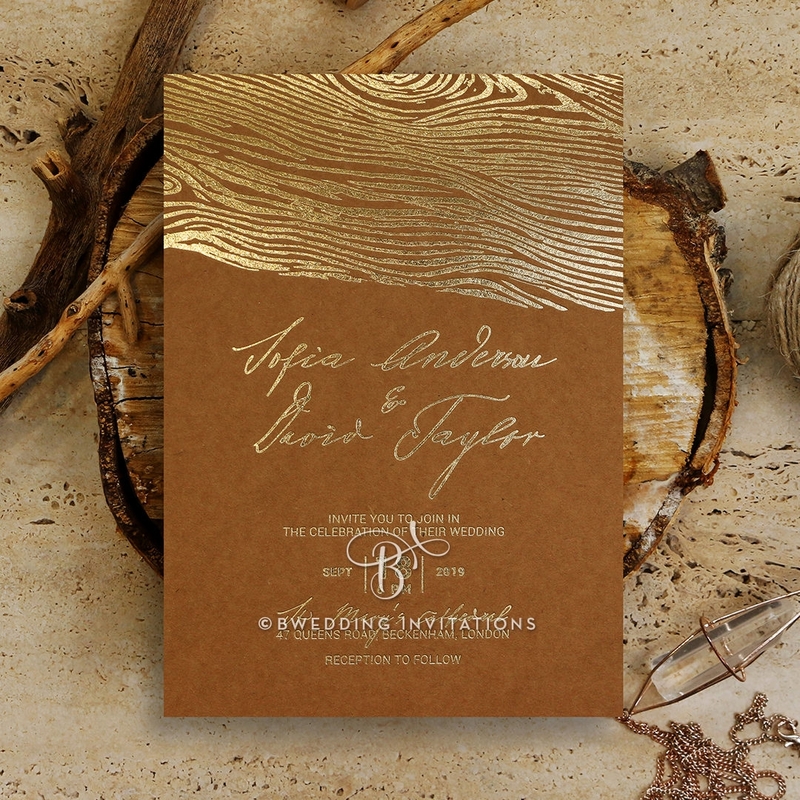 The combination of color, gold, weight, and texture make for a memorable invitation. 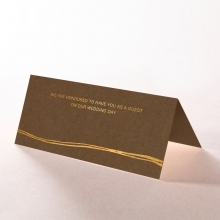 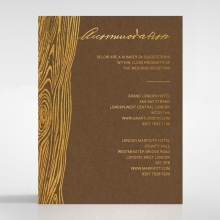 The matching Stationery Suite is also stamped with the same details in gloss gold. 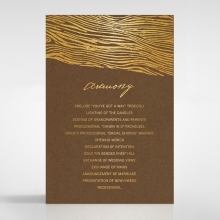 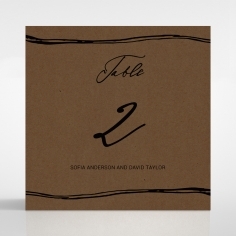 This invitation presents beautifully when coupled with a special ordered envelope with gold foil lining. 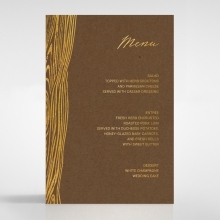 All content, layout, and fonts are customizable.